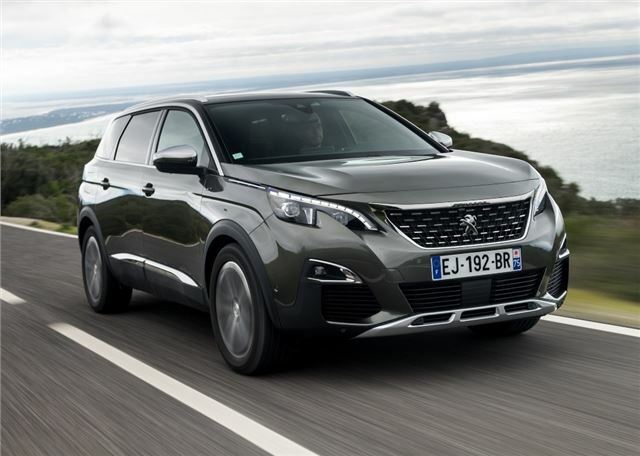 It would be fair to say that the old Peugeot 5008 didn’t enjoy the best of times with British car buyers. In fact, Peugeot's seven-seat MPV was overshadowed by the stylish Ford S-MAX and comfortable Citroen C4 Grand Picasso, which probably explains why this, the new 2017 5008, is now an SUV. 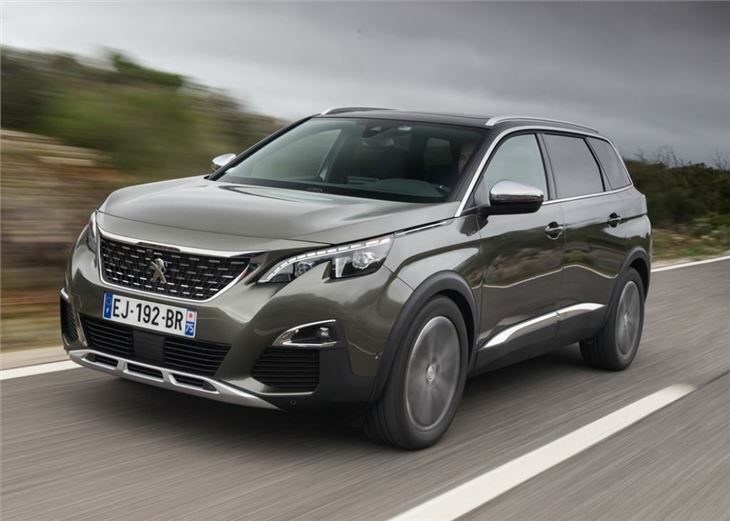 Given the boom in SUV sales - there are now more than 26 million of the things in the world - it’s understandable that Peugeot has decided to chase the numbers and leave its sister company - Citroen - to fight it out for the MPV crown. 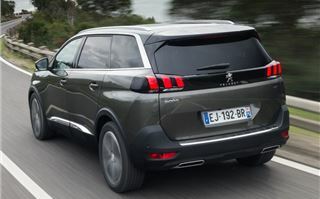 Peugeot wants to be a big player in the SUV market and has already won universal praise for the restyled 3008. Now it is looking to do the same with larger 5008, which is based on the same platform. When it comes to styling Peugeot has gone down the big, bold and rugged path. The new 5008 looks a world away from the dull and portly styling of the old model, with the new 5008 getting upright and raised body lines that give it a striking and more aggressive stance. 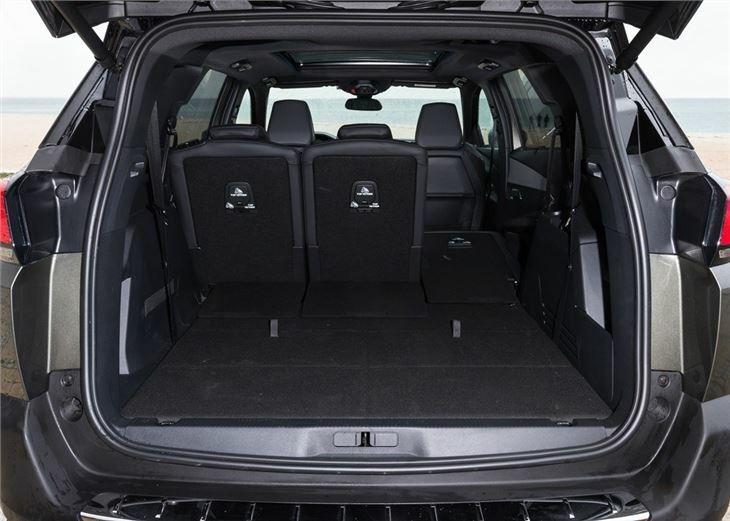 Yet, despite its SUV shape, the 5008 retains its MPV flexibility, with a huge interior space, bags of tech and seven seat layout. There are big changes inside too: The cheap and scratchy plastics are gone and in their place are high quality soft touch materials and textured cloths. It is a huge step up over anything that was found in the old 5008 and marks a significant moment for Peugeot, because the quality and layout wouldn’t feel amiss in anything BMW, Jaguar or Audi are producing at the moment. It’s that’s good. 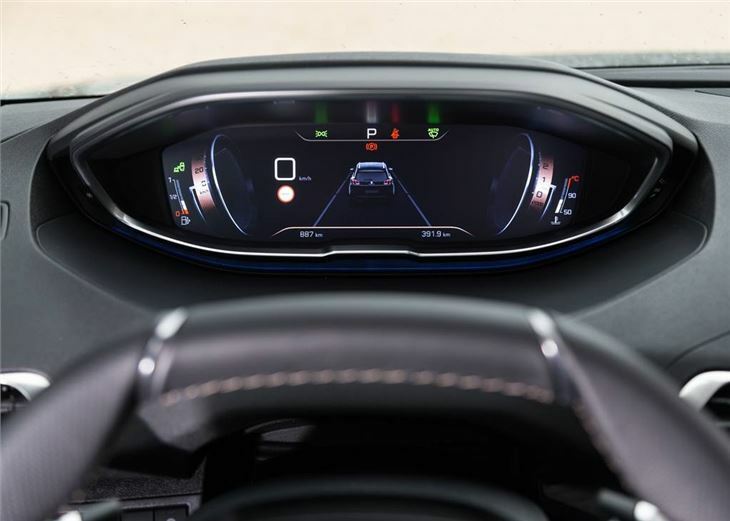 The sweeping dashboard features a central 8.0-inch colour touchscreen that makes it easy for the driver or front passenger to change the temperature, radio, navigation or telephone connectivity. 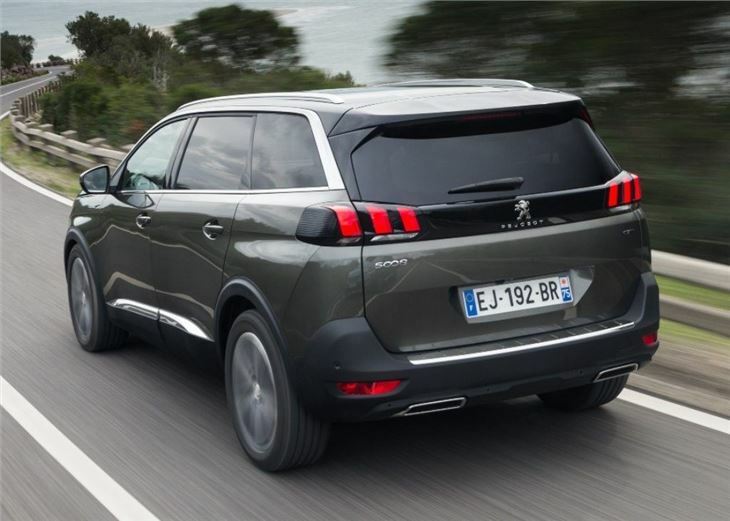 However, conscious that not everyone loves a techy cabin, Peugeot has also added seven chrome switches, which allow the user to shortcut to the controls they want. You still have to use the touchscreen to do things, but you don’t have to browse through four or five menus to alter the nav or change the temperature. 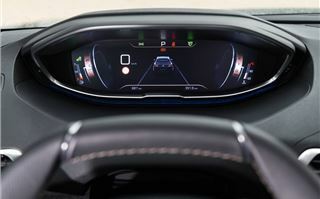 The 5008 features Peugeot’s i-Cockpit system as standard and, like Audi’s Virtual Cockpit system, a 12.3-inch HD display replaces the traditional instrument cluster. This means the driver can customise the layout to display maps, nav directions, radio stations, vehicle settings and fuel readings. The 5008 also gets a new steering wheel, which no longer blocks the instrument cluster like other Peugeot models, which means the digital screen is easy to read. The seven seat layout is another area where the 5008 edges ahead of its rivals. 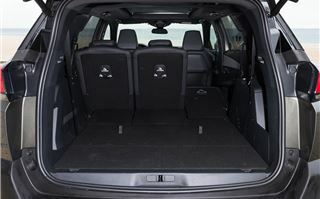 All versions get three rows of seats as standard and the third row can be folded away into the floor to provide a van-like 1060 litres of load space. 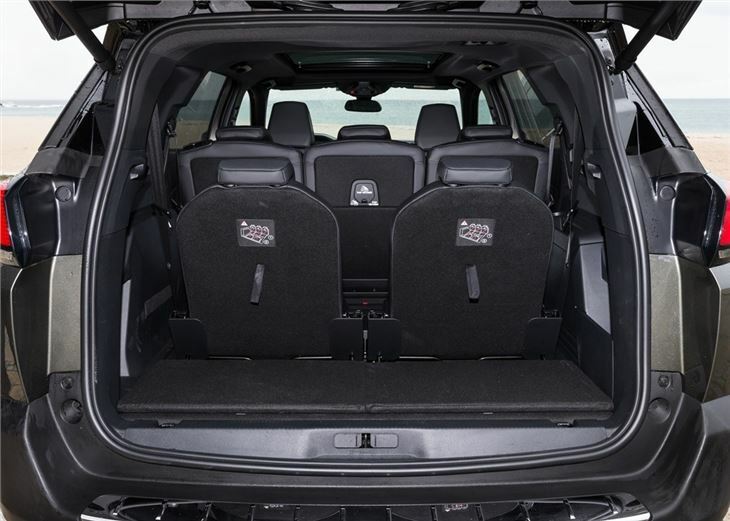 That said, the interior is more of a 5+2 layout and there isn’t a great deal of legroom in the third row, but children will have little trouble sitting there. You also get three Isofix anchor points across the second row. Things aren’t quite so rosy for the adults though and, while the second row is comfortable enough for three to sit abreast, thanks to individual tilt and slide mechanism for each seat, the third row is only suitable for occasional use by anyone over four foot in height. It’s also something of an assault course to get into the third row and painfully easy to crush your fingers against the seat belt housing as you slide the second row forward. Being a family car, you’d expect the 5008 to be cheap to run. And, for the most part, you’d be right. The engine line-up is made up of four-cylinder petrols and diesels, with the former including the excellent 1.2 Puretech engine, along with a more powerful 1.6-litre THP. However, diesels are expected to dominate proceedings and Peugeot tell us the 2.0 BlueHDi, with 150PS, will be the biggest seller with an official 61.4mpg. There are no four-wheel drive options or automatics with the 150PS diesel, but towing is a respectable 1800kg and Peugeot's grip control system is available as an option, should you need to tackle wintry road conditions. The system works by controlling the vehicle's traction on difficult surfaces such as snow, mud, dirt tracks and wet grass. 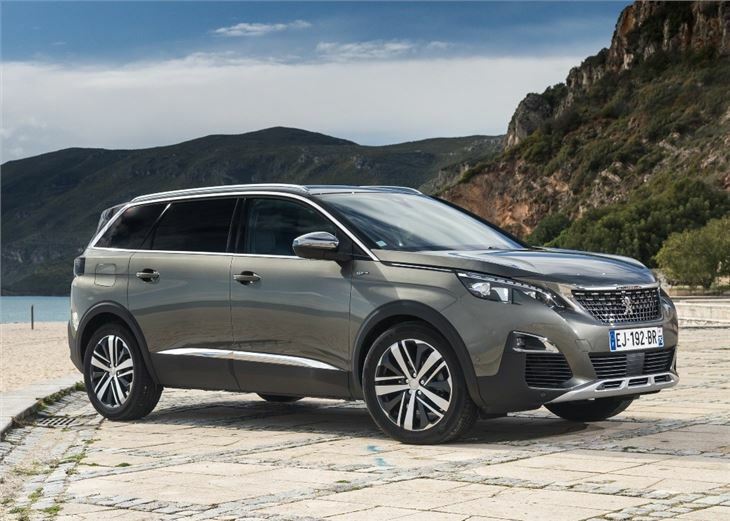 But while the 5008 drives well on the road, with responsive steering, a composed ride and lots of torque from the four-cylinder diesel, it does fall a little short on refinement. The diesel engine is noisy under hard acceleration and this often drowns out the radio or conversation in the cabin as you push the 5008 to join a busy motorway. There is also disappointing levels of road and wind noise too, while the ride has a tendency to bounce heavily on pot hole covered roads on 18-inch wheels. 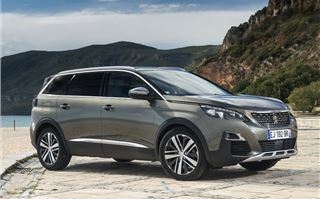 It’s a pity that the Peugeot hasn’t addressed the finer details, because the 5008 is a huge improvement over the old MPV. 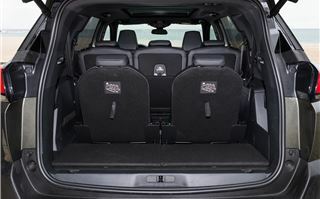 It also has more boot space than many of its SUV rivals and higher levels of standard kit, which makes it an attractive and upmarket family car from £24,000. However, unless you value space and tech above all else, we'd struggle to choose the 5008 over the Skoda Kodiaq or Ford S-MAX. 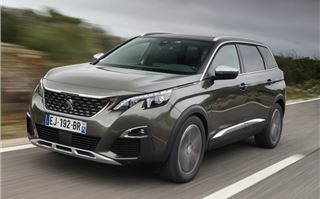 The Peugeot 5008 goes in sale in May with deliveries starting from July.